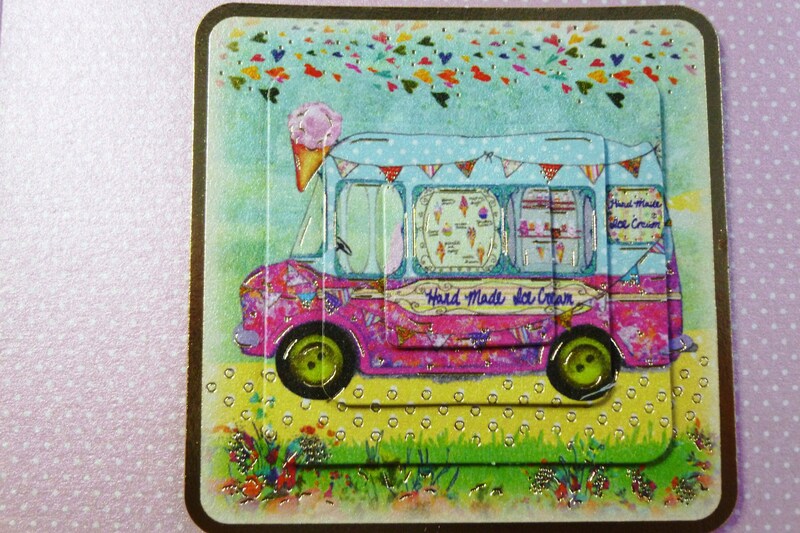 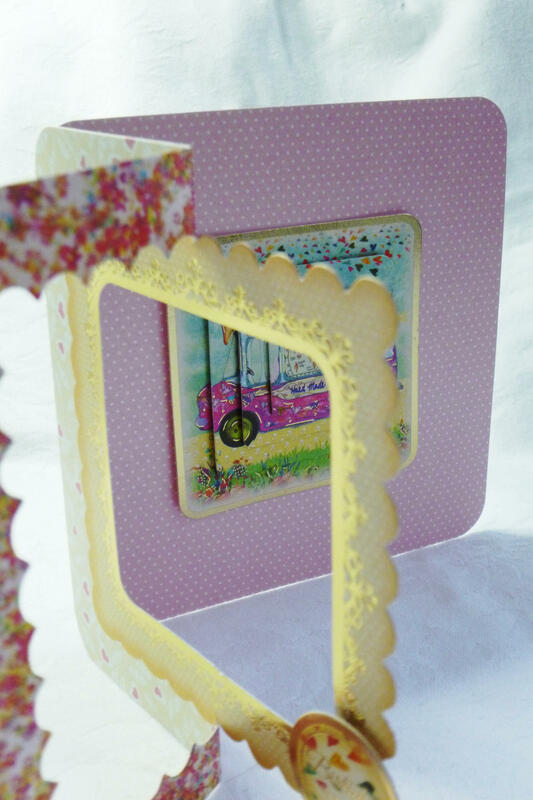 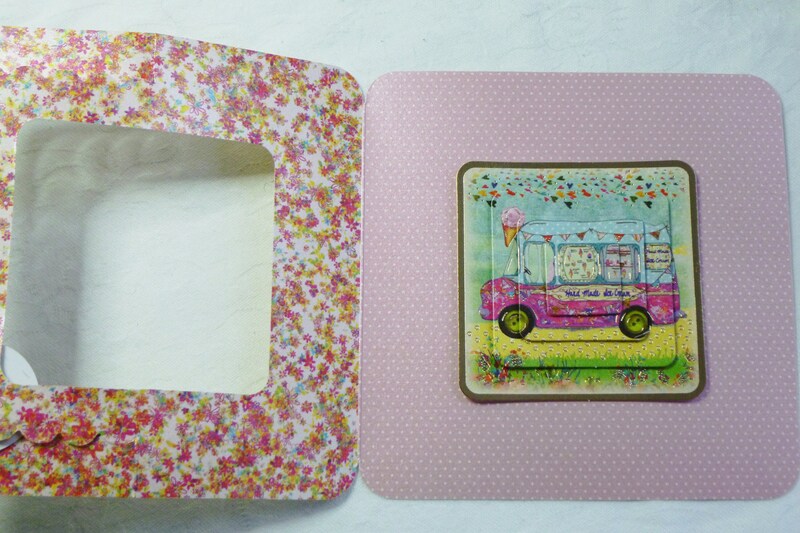 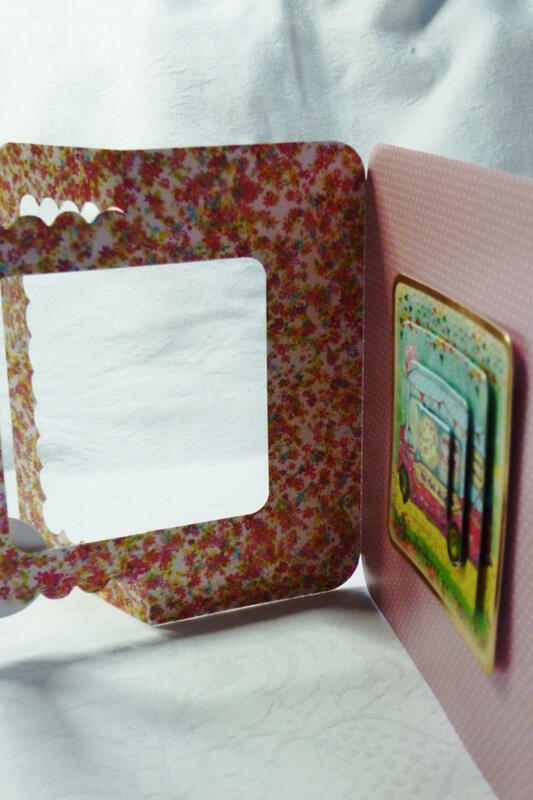 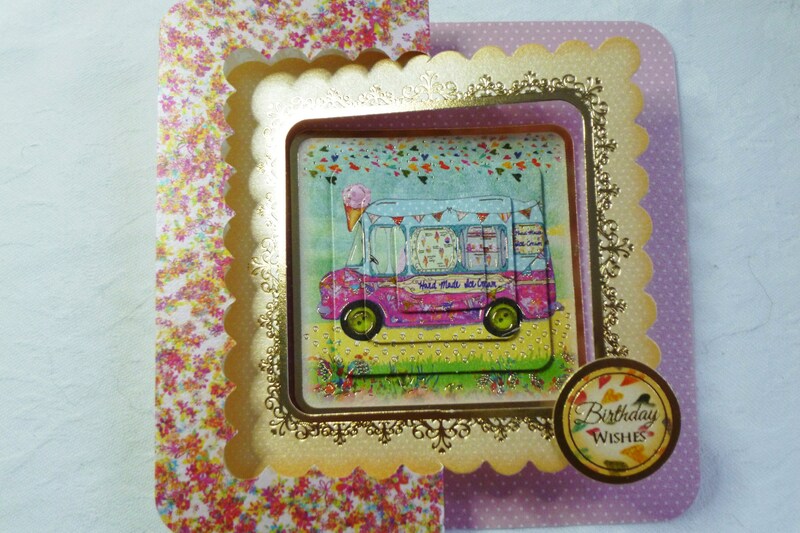 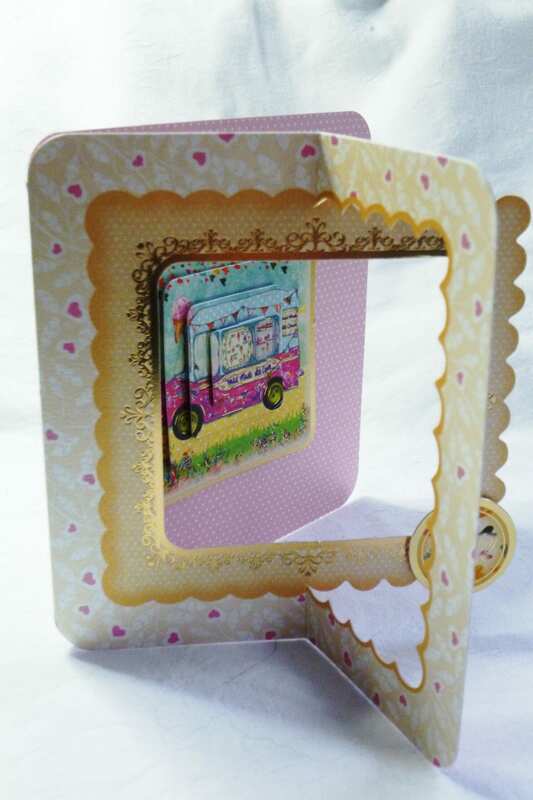 A small card, made from patterned card die cut to form several folds of scalloped edging, in the centre is an aperture with a topper in the centre with pyramid decoupage of an ice cream van, in the bottom right hand corner of the card is a sentiment which says, ' Birthday Wishes'. 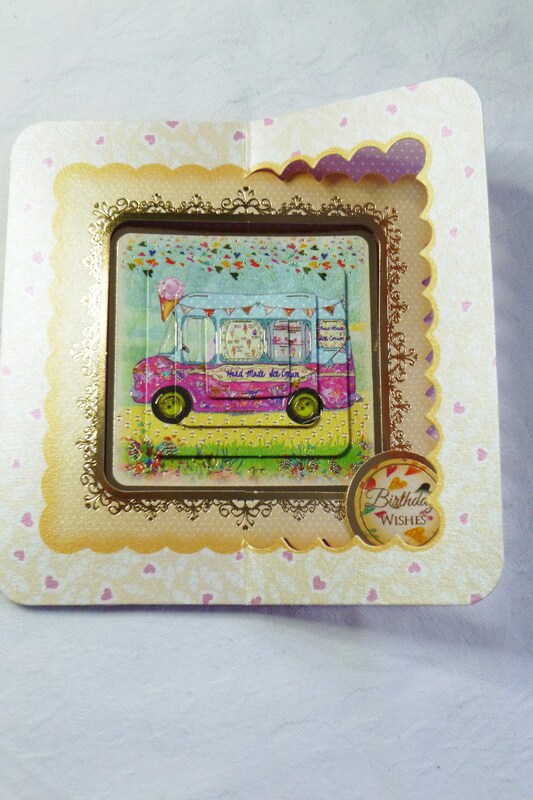 The card is pearlised so it shines and reflects the light giving a nice sheen to the card. 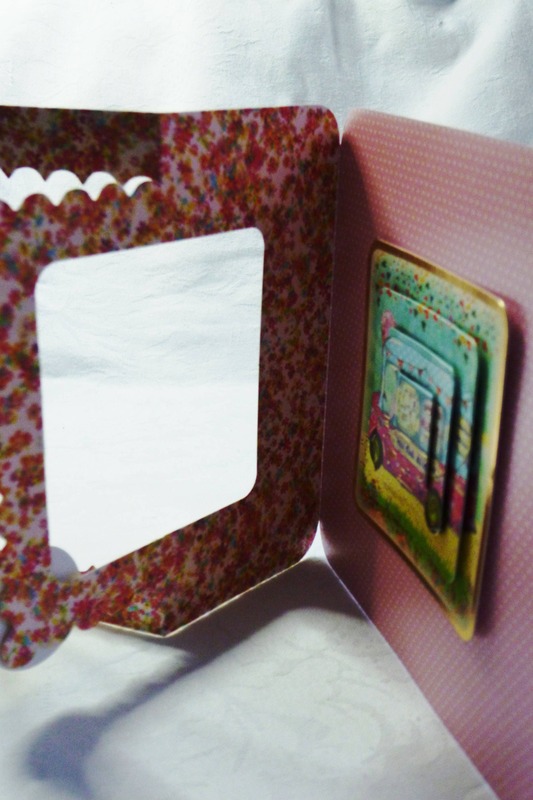 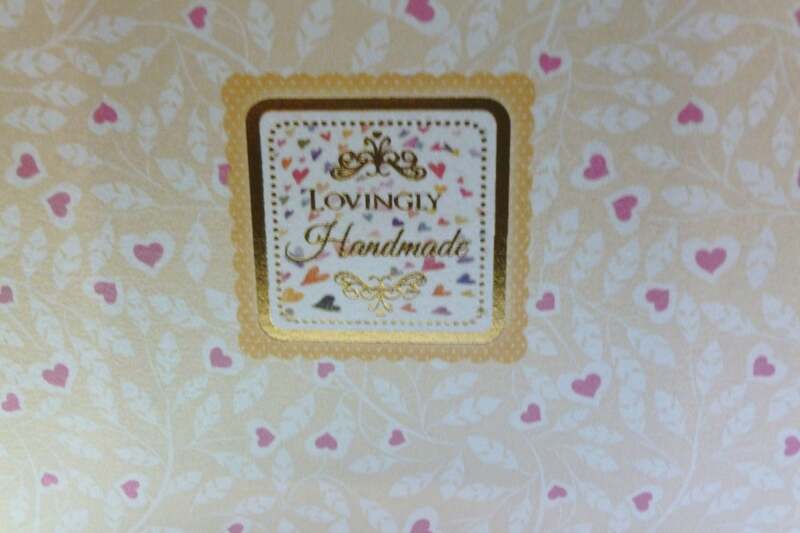 The card measures 5 inch x 5 inch, 13 cm x 13 cm, includes a white envelope.